Stock up. For WAY less. Current Winchester® .223 (5.56x45mm) Rounds at a sweet price…due to slight blemishes that won't affect the performance one bit. Brass-cased, Boxer-primed, reloadable. Winchester M855 Penetrator, .223 (5.56x45mm), FMJ, 62 Grain, 500 Rounds, Slight Blemish is rated 4.8 out of 5 by 8. 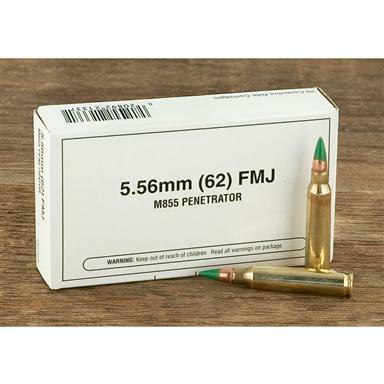 Rated 5 out of 5 by jamie from Made in the U.S.A Fast shipping , great price , shoots in my armalite M-15 , 1-9 twist M-4 . you can't go wrong with this ammo ! Rated 5 out of 5 by LaPew from good price for ding and dented ammo shoots fine,,nothing wrong with this ammo,,all shot off with no misfires. Rated 4 out of 5 by Duke Walloon from Great price I would rate 5 stars but have not shot the rounds yet. Price was too good to pass on. Rated 5 out of 5 by Dickie from Great Price was expecting a higher price I have not used this ammo as of now. 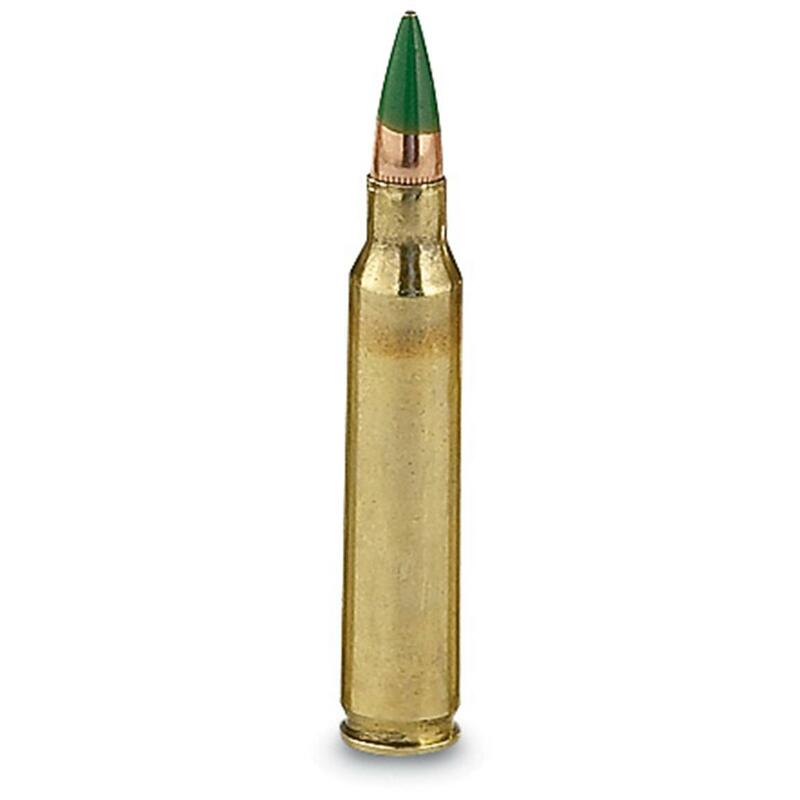 In a great time of need this type of Ammo will work far more than the standard bullet to take what you aim at. Am saving this for a great time of need. Rated 5 out of 5 by Griff from Excellent Quality (for Blems) Great ammo functions as advertised, cant locate the blemishes describd in thead's info. Rated 5 out of 5 by THOMAS from Oh good grief. Folks yappin about 'this ammo's bent so bad I won't shoot it' are, I think, the equivalent of folks complaining about the thickness of the head on their coffee drink. I thumbed thru several boxes, and yeah, there are dings- big whoop. That's kinda the POINT- these are cosmetically less-than-perfect. These dings are miniscule and they shoot juuuuust fine. Fire away, gentlemen. Designed for shooters looking for accuracy, reliability and performance.